Brief Description: YEAR 2004. 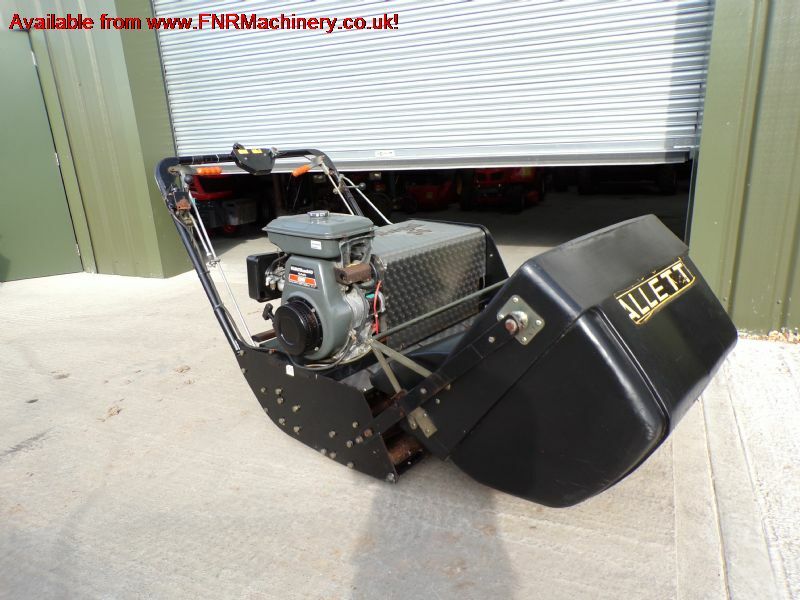 11HP 1 CYLINDER KUBOTA GH340 PETROL ENGINE. 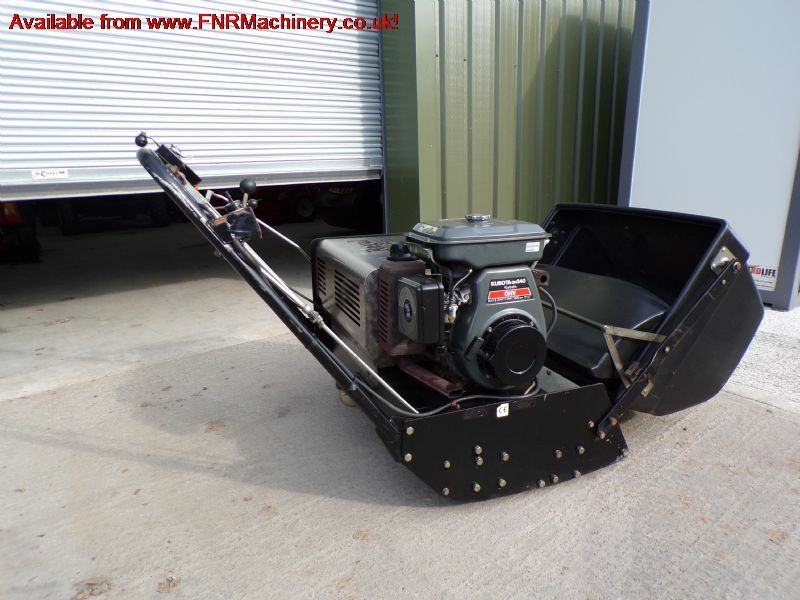 CYLINDER MOWER. 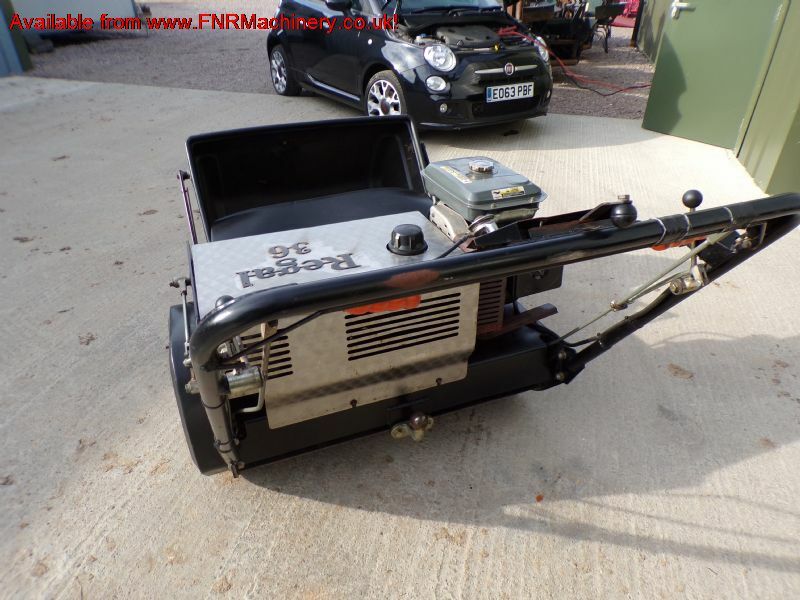 More Information: Regarded by groundsmen as the ultimate large-area dedicated cylinder mower. 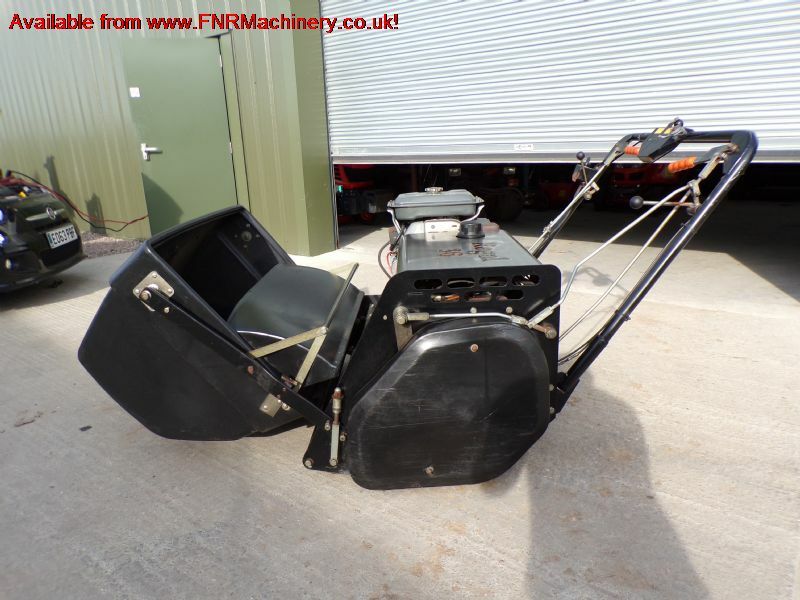 Hydrostatic drive produces infinitely variable travel speeds and cuts per metre. Power steering with independent brakes for easy operation and good maneuverability. Cutting cylinder 159mm (6.25in) diameter with 6 blades. Cutting Width 914mm (36in). 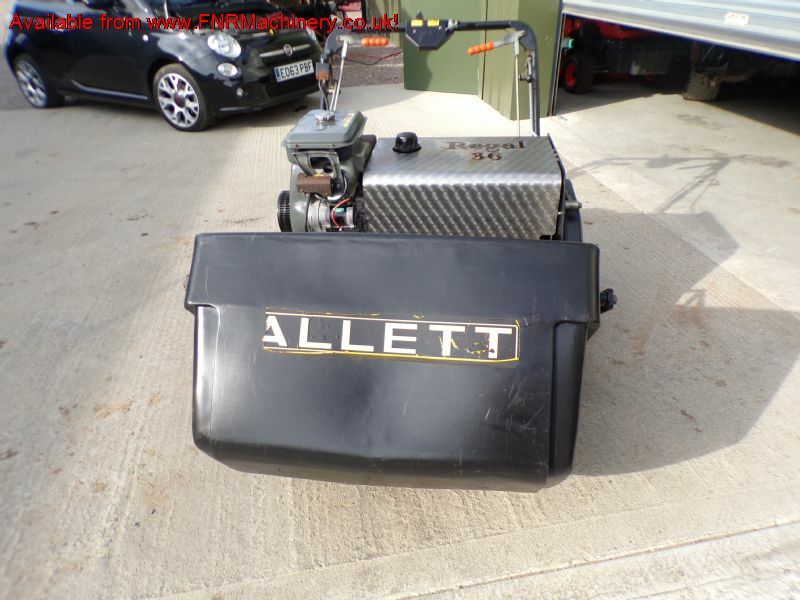 The Allett Regal is regarded by groundsmen around the world as the ultimate large-area dedicated cylinder mower suitable for cricket pitches, sports grounds and other large open grass areas. 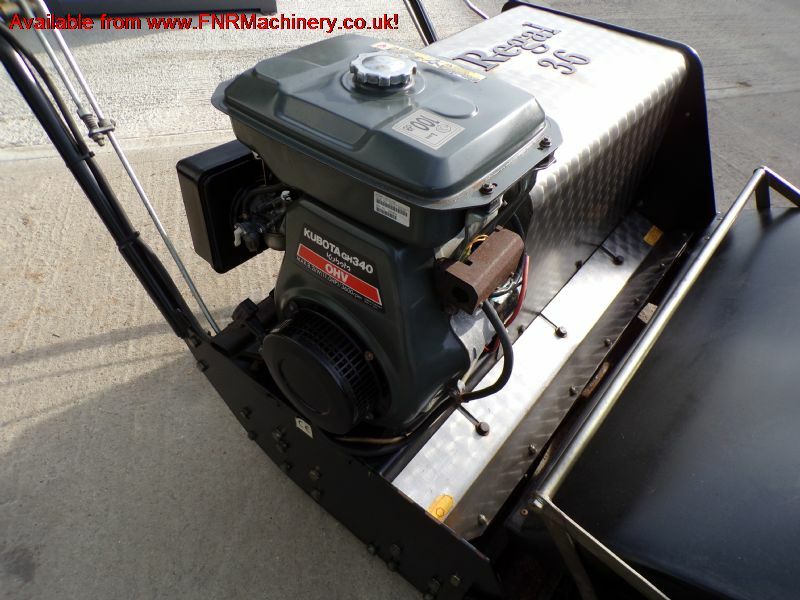 The Regal is acclaimed for its build quality, work rate and ease of operation. With hydro-static forward and reverse drive, the machine.